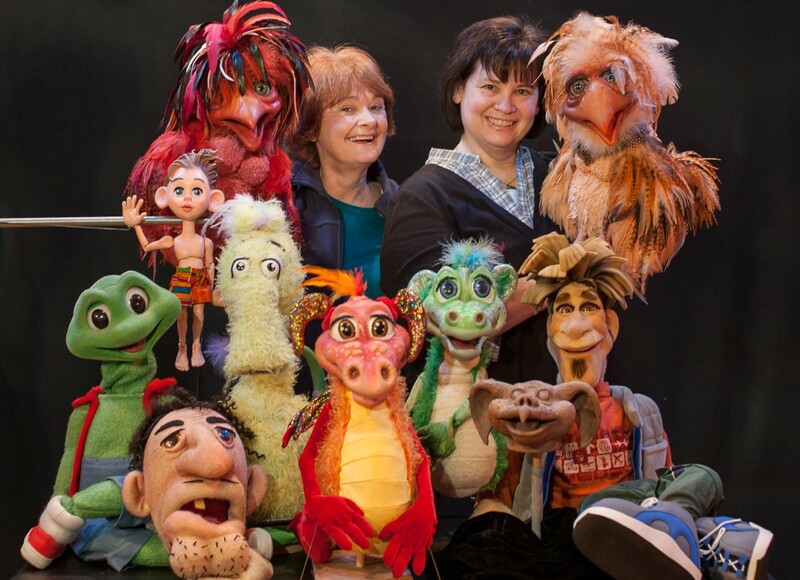 Kamela Portuges and Lee Armstrong have been making puppets and performing together for over 25 years. Armstrong, who’d gotten her big puppetry break on Jim Henson’s Fraggle Rock, met talented sculptor Portuges at a puppet festival; the two soon combined their talents to create their Sonoma, Calif., studio, Images In Motion. Since then, they’ve been steadily producing TV shows, commercials, and live performances, as well as lending their expertise to major studios and toy companies. Perhaps most memorably, you may have seen their marionettes in the movie Being John Malkovich; director Spike Jonze sought Portugues specifically after seeing the line of celebrity toys she’d sculpted. Watch Portuges and Armstrong’s puppets in motion, learn how they keep the ancient art of puppetry current with an infusion of 3D printing technology, then visit the Make: Believe page for effects tutorials and even more ways to blur the line between dreams and reality. And here’s a slideshow with some more of what we saw during our visits. One of the custom marionettes created by Images In Motion for the movie Being John Malkovich. Portuges and Armstrong demonstrate their smoke-breathing dragon puppet. Portuges uses Maya at her digital sculpting station to adjust Toby for printing. 3D printed prototypes of Toby. One of a hundred-plus music boxes sculpted by Portuges for the San Francisco Music Box Company, shown with her original wax sculpts. A 1/6 scale 3D print of “Stan” the T. Rex’s skull, freshly printed and ready for depowdering, a delicate manual procedure that will take at least 90 minutes. Images in Motion partners with PaleoMill to produce a line of dinosaur skulls printed directly from 3D scans of real paleontological specimens, often made right at the dig site. Camarasaurus skull at 1/6 scale. This depowdered 3D print will be extremely fragile until infiltration–that is, a bath in cyanoacrylate to penetrate the gypsum powder and harden it. Once finished, the prints are sold by the Black Hills Institute at the Bone Room and other specialty showrooms. A sneak peek at Leonardo, the star of an upcoming stop-motion animation. Portuges designed and built the armature, or the articulated metal skeleton that allows the character to be posed. Check out our growing collection of Make: Believe posts about the people who bring fantasy to life. We spotlight miniature-making, sculpting, molding, figure-modding, latex mask-making, and much more with tutorials, interviews, reviews, and good stories. Lee Armstrong and Kamela Portuges with a small selection of their puppet creations.